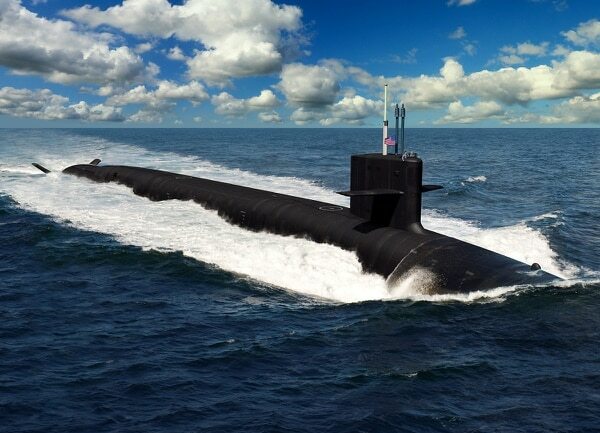 WASHINGTON — The U.S. Navy is shaking up its plan for acquiring a new, much larger and more deadly version of its Virginia-class attack submarine it aims to start buying this year. The plan heading into this year was to start a contract on the 5th block of Virginias in October, beginning with an upgraded version of the block-four Virginia (a “straight-stick” Virginia), then the second boat in 2019 would be the first boat with the added with 84-foot section known as the Virginia Payload Module, designed to expand the Virginia’s Tomahawk strike missile load-out from 12 to 40. The rest of the 10-ship buy was suppose to have the VPM, a move designed to offset the retirement of the four 154-Tomahawk-packing guided missile submarines in the mid-2020s. But the Navy is looking for savings and things have changed heading into the 2020 budget cycle. Instead of nine of 10 block-five Virginias being VPM boats, the Navy is proposing to Congress that they add a third Virginia in 2020, but the first boat will be another “straight-stick.” Then in 2021, the Navy will return to buying two Virginias, but the first boat again will be a straight-stick and the second will have VPM. All the block five boats, VPM and otherwise, will have acoustic upgrades. The net effect will be one fewer Virginia Payload Module in the block-five buy. Instead of nine of 10 boats in the buy having VPM, the Navy is proposing that eight of 11 boats have the VPM, deferring the VPM presumably to Virginia Block Six, which is slated to begin in 2024. The last-minute shuffling of the deck on Virginia, which includes pushing out VPM boats for which Congress had already appropriated advanced procurement money, shifts what was originally supposed to be the end of the straight-stick Virginias this year to buying one new straight stick a year for the next three years. This has raised concerns among those in the submarine building industry because of the potential for disruptions in the workflow at the yards, which is carefully planned out years in advance, and could even bleed over into the new, strategically vital Columbia-class ballistic missile submarine program. The late changes have also affected the timeline for contract negotiations, and a source with knowledge of the details said a planned April contract date for block five is now unlikely. The date had already slipped from the beginning of the fiscal year in October, according to 2018 budget documents. The Virginia-class program has begun seeing creeping delays which the Navy acknowledged this year will likely be between four and seven months on each boat for the foreseeable future. The service says it has struggled to meet more aggressive construction timelines because of issues within the supplier base, which are causing delays. A spokesman for the Navy’s research, development and acquisition office said he wouldn’t comment on precisely what savings would be achieved with the strategy, citing ongoing negotiations, but said the move of a matter of competing priorities within the budget. He also said the changes in the VPM schedule were not part of ongoing supplier challenges. The third boat in 2020 also adds a wrinkle to the schedule. According to the Navy’s justification books, the third boat will not start construction until 2023, which is the year before the service plans to buy a second Columbia-class boomer. That means the shipyards will be building three Virginias in 2023. The Virginia Payload Module strategy of continuing to buy straight-stick Virginias into 2021, ensures that General Dynamics Electric Boat and Huntington Ingalls Newport News will be building both straight sticks and Virginia Payload Module Virginia-class boats and the Columbia class simultaneously through 2026 and beyond, according to Navy budget documents. That will stress the yards and the supplier base, raising the risk that Columbia could run late, according to an industry source who spoke on background. “The juxtaposition of Virginia VPM and Columbia will be an added challenge for the shipyards,” the source said. “VPM and Columbia will have no learning curves when both projects are started. As we saw with Seawolf and Virginia (and every other first of a class ship the Navy has ever built) first ships are late and over cost. Program Executive Office Columbia will be stood up this month. The mounting challenges within the submarine building enterprise prompted RD&A chief James Geurts to stand up a new program office specifically for the Columbia class, which was previously organized under Program Executive Office Submarines. Rear Adm. Scott Pappano is heading the new enterprise. “My concern was with Columbia being our No. 1 acquisition priority and all the other submarine activities we have going on, do we have enough leadership bandwidth available to oversee and run all those programs simultaneously?” Geurts said in an early March roundtable with reporters.